As you would expect, the Ellingson’s staff is really into cars. We love talking cars and will do so pretty much any chance we get. So to take advantage of the huge amount of collective knowledge within these walls we occasional poll everyone on different topics to share with all of you. And today we’re looking at what the staff considers to be their favorite collectible cars from the 1950’s. 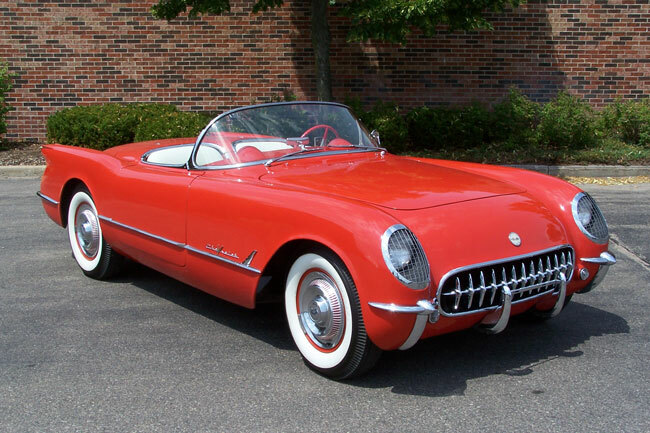 The Corvette was born in 1953, but it wasn’t until the 1955 model year that Chevy put a V8 under the hood, turning it into an automotive icon. This upgrade made it a true sports car, shaving 2.5 seconds off it’s 0-60 time and cementing it’s place in American history. It is one of the longest surviving production cars of all time, 66 years and counting! Browse all the Corvette's we have in our inventory here. Hudson’s were known for their step-down design, giving them a lower center of gravity which helped in performance and handling. 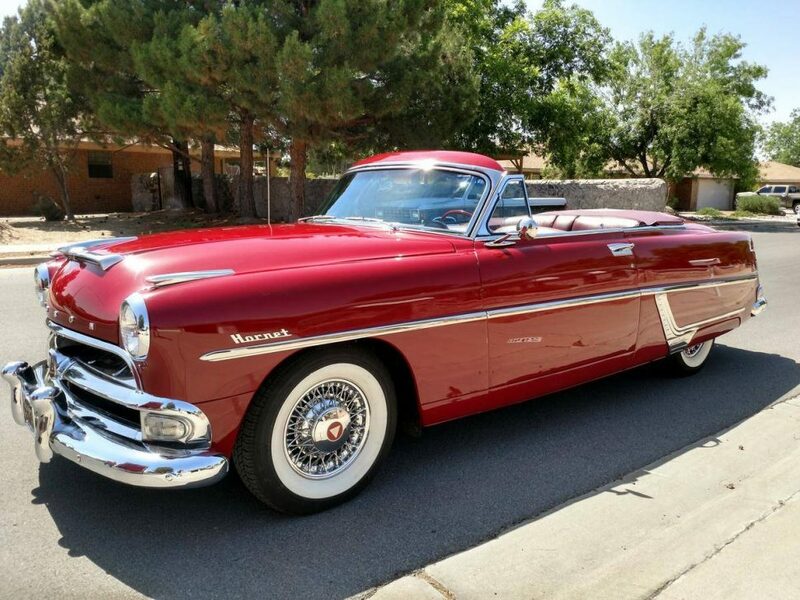 The ’54 Hudsons went through a redesign giving them a more modern look, and their 5.0L V6 engines were racing inspired and often faster than V8s from other auto makers. The Hornet Brougham was the only convertible they offered. We don't have any Hudson's in our inventory now, but we can help you find one with our Car Finder. While the Corvette was a true sports car, the two seater Thunderbirds were marketed as personal luxury cars. They had sporty styling and handled better than the average car, but this marketing tactic made them appear more attainable and more practical to the general public. And you could get them with all the modern options available at the time. 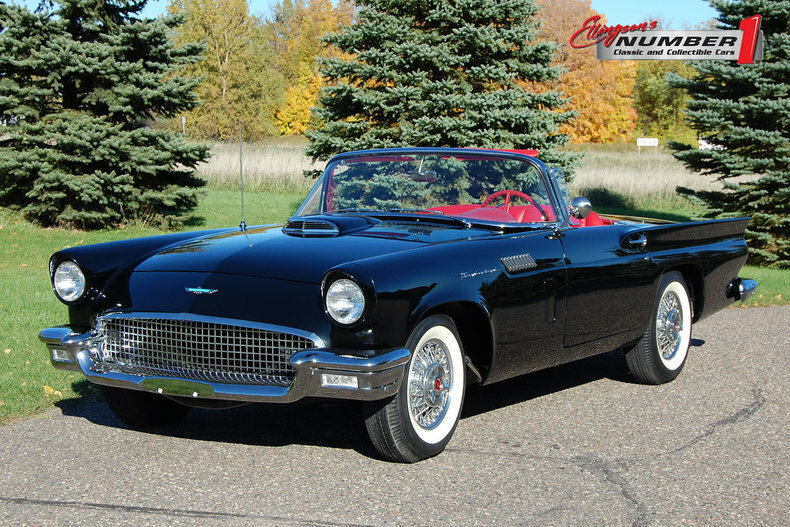 We have a sold a lot of T-birds from the 1950's and currently have a gorgeous '57 Thunderbird convertible in our showroom. The Ellingson’s staff is fond of vehicles from 1956, particularly Fords and Chevys. By the mid-50s Ford and Chevy recognized each other as their biggest competition. 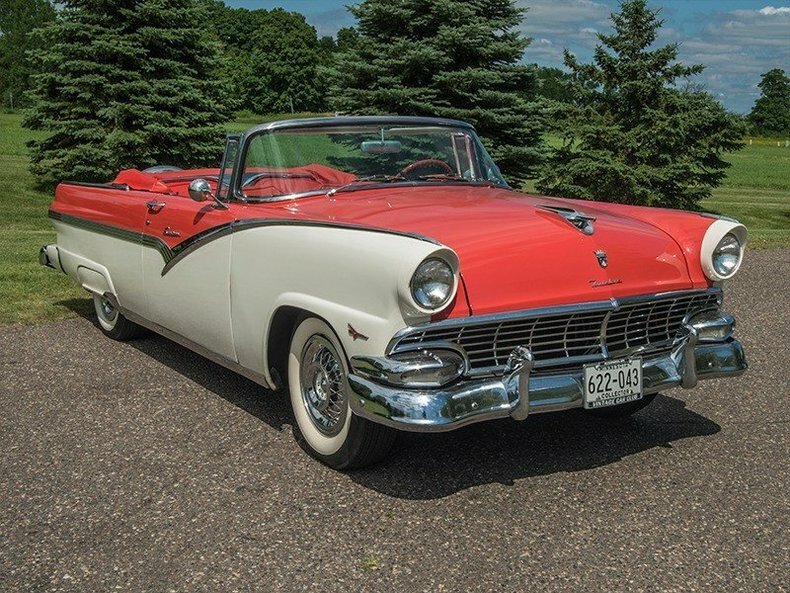 In 1956 Ford had its Customline Victoria, meant to compete with the Chevy Bel Air. And Ford’s Parklane wagon was built to compete with the Chevy Nomad. In ’56 Chevy gave it’s Bel Air a facelift, including the distinctive two-tone bodyside treatments. But bigger things were in store for its next calendar year. We currently have six Fords and Chevys from the 1950's in our inventory. 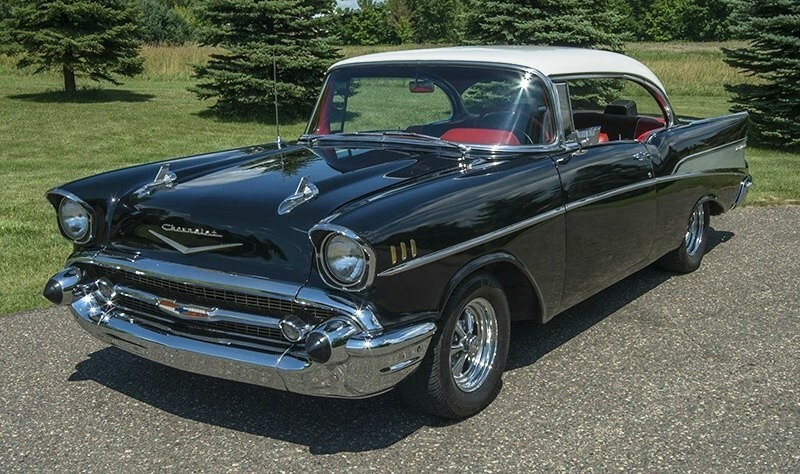 Just by looking at a mint ’57 Chevy you can understand why they are among the most iconic and highly sought after classic cars. Ironically, ’57 Fords outsold their Chevy counterparts but history has shown the Chevys to be a far more popular and collectible car. This is due to a number of factors, including their period perfect styling and the fact they were easily maintained, customized and upgraded. Combining all the different model packages of the 150, 210 and Bel Airs, there were 19 different ’57 Chevys. If you get your hands on one, hold on tight. And if you're looking for one, check out the stunning '57 Chevy Nomad sitting in our showroom right now. Looking for a particular make, model and year of classic car? Browse our inventory online to see if we have what you’re seeking. If we don't, use our Car Finder to let us know what you want. And if you want to sell your classic car, you can learn about our consignment program here.